While patches of blue sky are on display none of them match the sunny days I enjoyed in Lanzarote. There is little chance I’ll be spending the afternoon relaxing on a sun lounger, slowly catching up with my long reading list. The UK has a damper tone that makes me wish I’d booked another week in Puerto del Carmen, but the training camp is over and it’s back to reality as I attempt to structure training that builds on the previous fortnight around the work that went on hold. I can be content that I achieved my aim: I returned from camp fit and healthy. The question is whether I did ‘just enough’. The core Lanzarote training day included swim, bike and run, I completed it five times. I never took a full day off, but I didn’t train as heavily as on previous trips either – the first week over twenty hours and the second in its teens. Shorter sessions with bursts of higher intensity when I attacked hills offered a different stimulus to the long steady-state rides of past seasons. 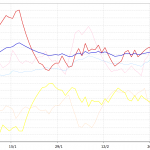 Daily training load – the cumulative work done – was lower, but when I worked, I worked hard. 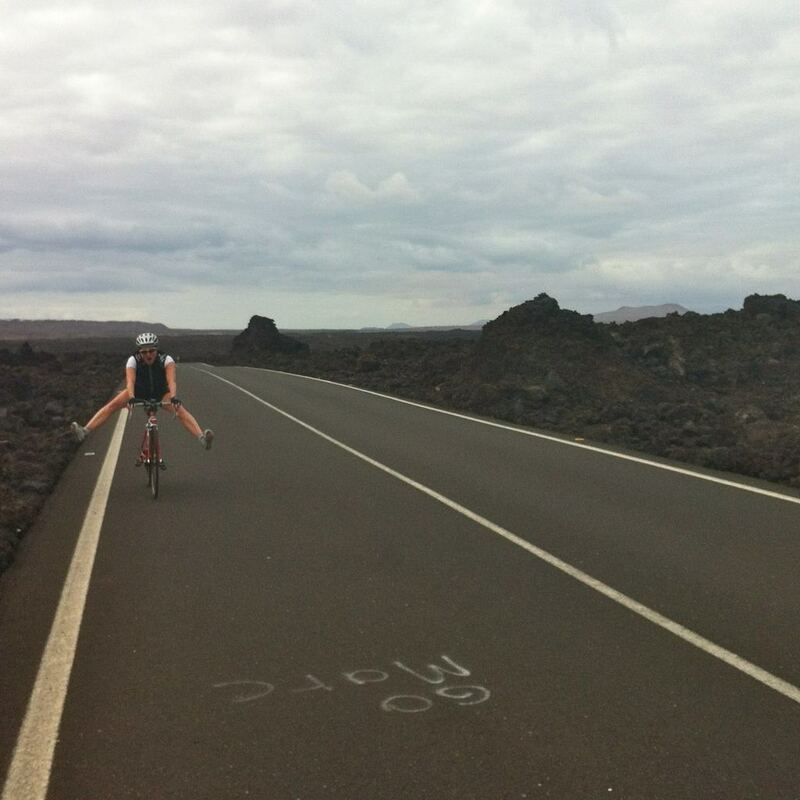 I could have done more, I possibly should have; with Ironman Lanzarote less than three weeks away I feel unprepared, perhaps I went too far in my desire not to do too much. The ‘enough’ debate remained open the entire fortnight and I found myself arguing for less. Not specifically for myself – I could handle more, but my hard efforts were sufficient – but Gill’s need to hit a volume didn’t always match her ability to handle the load. On occasions we crossed the line: an extra rep up the Donkey Trail that left both our legs sore or over-extending (and under-eating) a ride and limping home; not the most productive uses of our time. I felt those sessions in my daily run, compromising pace to ensure I would complete my thirty days of running challenge. More can be good, but not when it sees you abandoning other workouts or struggling to complete a session with reasonable form. Sometimes we got it right; four Donkey Trail reps for me to Gill’s three proving a decent workout on an easier day. Despite the overall lighter load it was enough to leave me feeling tired, to wake with aching legs and a desire to sleep more. There was never an exact answer to the question of ‘just enough’, that manageable sense of fatigue was my guideline and I erred on the side of caution. The balance wasn’t perfect. I hoped to push both bike and run further than I did, but the interplay between the two, and the obvious impact on my legs, never allowed it. Gill would have benefited from running more, a better compromise with riding could have been achieved. But the result is we’ve returned home fitter and without the need for a recovery week. The fortnight comfortable bridged training camp and holiday, delivering on both fronts. When I wasn’t training – which was a lot of the time – I relaxed, I lounged under warm, sunny skies a fully loaded Kindle and review copy of The Art of Running Faster to hand, it’s been a while since I’ve taken a break like that. I can’t regret training less because I’ve come back refreshed and motivated.